The Indo-Pakistan War of 1965 was the first time in the history of Independent India when our military power was confronted by a hostile air force at a time when Pakistan had launched a surprise invasion into India and, hence, also achieved substantive strategic and tactical surprise. And, for the first time in its history, the Indian Air Force (IAF) had to contest command of the air against a highly trained Pakistan Air Force (PAF) equipped with aircraft and weapons systems technologically far superior to those of the IAF, courtesy the United States. The war also created perceptions and misunderstandings about what was done, not done, and should have been done. In particular, it vitiated the relations between the army and the air force well beyond the traditional professional and not-so professional differences that have been experienced among armies and air forces across the world for a century. Four decades after the war, what we need to address is a couple of critical issues which provide us both an insight into the mythologies built up about the 1965 War as well as some of the major misreading and/or misunderstandings of the type that led a former air chief to come out with his memories of what he believed was the failure of the IAF. First is the issue of the performance of the IAF in the air war with the PAF. Most of the generous interpretations have been to view the war as a draw – an absence of decisive outcome. For example, the official history of the war produced by the History Division of the Ministry of Defence, Government of India, also concluded, "Taking an overall view of the air war, it appears clear that neither side won any decisive victory. The IAF and PAF mauled each other, but could not kill." There are three aspects of the performance of the IAF that we need to note. The first is that of air-to-air combat and warfare; the second relates to the air-to- ground mission and its effects; and the third is the issue of whether the IAF had a clear doctrine and strategy for the war, whether this was coherent, and whether it achieved the desired results. 1949 ceasefire. But was the greatest handicap that the IAF faced was the government’s decision to stop all operations against East Pakistan after Pakistan hit our airfields in the eastern sector and destroyed a significant number of aircraft after the war had broken out in the west. One of the major reasons that have led to the belief that Pakistan "won" the air war is that people have focussed almost exclusively on the aircraft lost. And we lost an inordinately large number of aircraft on the ground to PAF Attrition is a good indicator of relative success; but the inexcusable error that almost everyone made, and has continued to make – including our official historians (in spite of having senior officers of the IAF available to advise them on technical/professional issues) – follows the Pakistani emphasis on number crunching which tended to show them in better light, especially in view of the significant number of aircraft we lost on the ground. In air warfare, attrition must be measured in relation to the air effort and not just to the number of aircraft held in the inventory. Pakistan doing so is understandable since the larger number of Indian losses conveys an impression that the Indian Air Force lost out to their air force. Unfortunately, the official history produced by the Indian Ministry of Defence also does exactly that: relying heavily on Pakistani literature, especially John Fricker, and less on our own. If we take the best data available from all possible known sources, we find that the PAF flew a total 2,364 sorties, according to its official history during the 1965 War.21 Indian official estimates place the total aircraft losses of the PAF at 43 aircraft. This would amount to the PAF having suffered an attrition rate of 1.8189 aircraft lost per hundred sorties flown during the war, that is, an attrition rate of 1.82 per cent. The IAF, on the other hand, flew 3,937 sorties in the western sector alone and lost a total of 59 aircraft both in the air and on the ground during the war, in the western and eastern sectors combined.22 Its attrition rate works out to 1.4986 aircraft lost for 100 sorties flown. In other words, the Indian Air Force suffered an attrition rate of 1.50 per cent compared to Pakistan’s 1. 82 per cent. One can hypothesise that the difference is not so marked that we can draw an unambiguous conclusion about the winner and the loser. 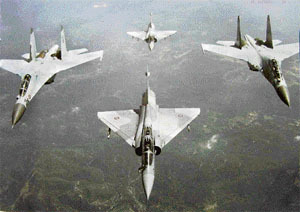 But considering that the IAF was clearly the bigger air force, though not possessing a 4:1 ratio, as the Pakistanis make it out to be, the PAF experiencing a 21.3 per cent higher attrition rate than that of the IAF clearly makes a mockery of any claims of the PAF having achieved air superiority or of having defeated the IAF. If we set aside aircraft lost on the ground due to enemy action, we find that India lost a total of 24 aircraft to air action and ground fire. Measured against the 3,937 sorties flown in the western sector, this amounts to a loss rate of 0.6096 aircraft per hundred sorties flown in the war. Compared to this, the Pakistan Air Force lost 43 aircraft. It admitted to the loss of only one F-86 on the ground to IAF action (at Sargodha). Taking this at face value, against a total of 2,364 sorties flown in the war, the Pakistan Air Force loss rate in air warfare would amount to 1.7766 aircraft for every hundred sorties flown. In other words, the PAF was losing aircraft at nearly three times the rate of the IAF during the war. Other estimates conclude that Pakistan lost close to half a dozen aircraft on the ground on account of IAF air action. In this case, the loss of 37 aircraft in air warfare would amount to a loss rate of 1.5651 aircraft for every hundred sorties flown in the war. In other words, taking the lower figure for PAF losses in the air, Pakistan was losing 1.57 aircraft for very hundred sorties flown, compared to the IAF losing 0.61 aircraft. Given its overall smaller size, the PAF would have ceased to act as an operational force if the war had gone on for another two weeks or so. No other single issue has vitiated the atmosphere of army-air force relations more than the perceived conduct of the 1965 War. It is curious indeed that there was virtually no criticism about the absence of combat air force in the 1962 Sino-Indian War which was not even permitted by the political leadership, especially by the defence minister. Unfortunately, no data on the air effort devoted to the Chhamb-Jaurian sector in particular and J&K in general, was kept. In fact, the official history does not clearly tell us the quantum of close air support and interdiction carried out by the IAF. But more specifically, the Pakistan Army was virtually stopped in its tracks and "the IAF prevented a major Pakistani breakthrough." The only explanation that fits the facts is that the IAF had imposed a heavy attrition on Pakistani armour even against the setting sun, and it would have been suicidal for it to proceed further. Akhnur was saved and so was a crucial military-logistics key point on the lines of communications into J&K. This is borne out by circumstantial evidence. But what became the real source of lament about air support was the Indian counter-offensive on September 6, 1965, into Pakistan. The Indian Army’s 15 Division was launched on the offensive at daylight, along a major highway, without informing the air force! The army commander has been scathing in his criticism of the divisional commander on this count and for not providing the command leadership required. Our division exposed itself to enemy air strikes while the IAF practically knew nothing of the advance and continued carrying out extensive close air support and battlefield interdiction on the other axis of advance to the north and south of the 15 Division thrust. Given the doctrinal tensions in the IAF from the time of its creation, it is interesting to look closely at how air operations were actually carried out during the 1965 War. The first set of questions that arises is: did the air force play a strategic role? And what was the extent of its tactical role and its effects? To the extent that there is sufficient evidence that Pakistan virtually abandoned Grand Slam and its objective of capturing Akhnur due, in a large measure, to the late evening air strikes of September 1, 1965, or at least slowed it down sufficiently to allow adequate defences to be created by otherwise outnumbered forces who fought so gallantly, the Indian Air Force achieved a strategic impact on the course of the war. The IAF concentrated substantively on interdiction during the war. This has been viewed by many as doctrinally incoherent. Historically, interdiction is of two types: supply interdiction and mobility interdiction. And interdiction provides the greatest payoffs when the two combine. The Indian Army’s strategy forced it to move troops to the Sialkot and Kasur sectors. 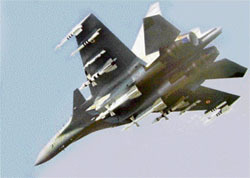 The toll of its rolling stock taken by the IAF, especially the dramatic strike on the train carrying ammunition, added to the supply woes of Pakistan. In fact, shortage of ammunition was one of the over-riding factors that led to Ayub’s decision to accept a ceasefire. Our intelligence failed to make a correct assessment of Pakistan’s capability to continue the war and avoid a total collapse which actually was imminent. 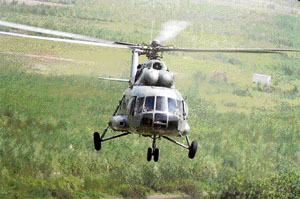 If we set aside the fiction and myths that have grown, flowing from ill-informed self-criticism, on one side, and the high profile Pakistani self-promotion as the winner of 1965 (on the ground and in the air), on the other, the reality is that the IAF acquitted itself extremely well in spite of local mistakes. Where we failed the most, however, was in not having sorted out our doctrinal contradictions, our organisation for close air support (especially the communications) and infirmities of higher defence organisational deficiencies which had not been fully rectified even after 1962.
by Air Commodore Jasjit Singh (retd). Published by Knowledge World in association with Centre for Air Power Studies.